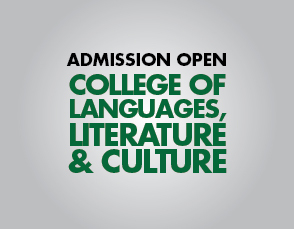 To become the language center of choice in Pakistan. To contribute to the development of the English language teaching profession, and professionals, in Pakistan and the region. Provide high quality programs for learners with specific needs and goals at all levels, including the corporate sector. Provide high quality learning and practice opportunities for enhancing English language skills for international examinations such as IELTS, SAT and GRE. Undertake high quality teaching, teacher training and cutting edge research on language teaching and learning. Develop a network of communication with ZU faculty offering language courses in other ZU faculties/colleges to assist them in curriculum and instructional planning and assessment. Support the ZU student community in developing their English language and critical thinking skills for academic study, and for improving their future life chances beyond the University. 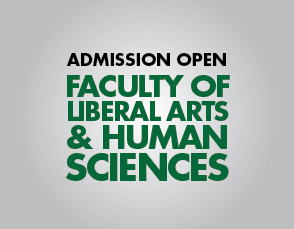 The Language Center is part of the Faculty of Liberal Arts and Human Sciences. The Center is led by a Director and runs independently under the supervision of the Dean. The Director manages the Center’s day-to-day operations as well as its finances and staffing. The Center has an Advisory Board with internal members, external members from each University faculty served by the Center and representatives of the academia. The Advisory Board meets once each term. Our courses in language proficiency range from beginners to advanced levels. A placement test is conducted at the beginning of the term to place you in the right level. This means that you can enter our program at the level of your current ability in the language and exit after completing one or more levels as per your need. If you are a current student at ZU or any other higher education institution, you have this unique opportunity to join one or more courses according to your identified needs and specific goals for academic study and for life beyond the university. All students at ZU or at other educational institutions who are looking for high quality learning opportunities to improve their proficiency in language for international exams. For teachers, researchers, and various levels of staff in educational institutions as well as in the corporate sector. In addition, the Center offers support services to all departments/colleges at Ziauddin University for improved teaching-learning of English. This includes needs analysis, curriculum development and review, selection of learning materials and resources, developing assessment procedures and tools, monitoring and evaluation of programs and faculty including faculty appraisal, recruitment of faculty, and faculty development. An application processing fee of Rs 1,000 will be charged at the time of initial registration. If the students chooses to exit after one level, they can join the next level after a gap of one semester without registering again as a student. If a student returns to join a course after a gap of two terms, they will need to register as new students after paying the application processing fee of Rs 1,000. No student will be admitted without taking the Placements Test. Levels will be assigned on the basis of Placement Test scores. The decision of the management will be final in this regard. A certificate will be issued on completing the requirements for each level. 80% attendance is required to sit for the final exam for certification purposes. A minimum score of 60% is needed to become eligible for certification for any level/course.